12-year-old Pelle accidentally gets bitten by an ant and develops unimaginable superpowers. With help from his friend, comic book nerd Wilhelm, Pelle creates a secret identity as the superhero Antboy. 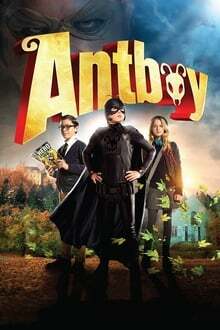 Slowly things start to happen in the surburban community, and when a scary and crazy supervillain, Flea, enters the scene, Antboy must step up to the challenge. The first Danish superhero-movie. Based on the books by Kenneth Bøgh Andersen.